Lipstick is among the favorite cosmetic items of women. No woman can step out of the house without wearing their favorite lipsticks. What you consider while buying lipstick other than quality?? Most women look for attractive and eye-catchy packaging while buying the product. It helps in customer's buying decision. That is why cosmetic brands should focus on the packaging of lipsticks to increase to the sale and to attract customers. When you design your perfect lipstick packaging, it sometimes cost you more than your estimation. Sometimes you even have to break your bank in trying to be perfect. You need to consider many things while designing your packaging. It will help you to reduce your cost. If you are not sure how you can save your money, here are some tips to follow. Every one of us estimates out cost and budget before buying something expensive. Cosmetic brands should also do the same before designing their lipstick packaging. By doing little research before time will help you to cut your cost. Know your all options and try to get most out of your packaging. Consider when it comes to reducing your lipstick packaging cost. Identify what exactly is important to you and try to set your price on the packaging you want. Cut the price of un-necessary printing, colors, and design. Consider which information is necessary to put on Custom Lipstick Boxes and what is totally unimportant. Rethink all the elements in your design by cost and then decide what to include and what to not. When you opt for a bigger box for lipstick packaging, it will obviously cost you more. Fewer boxes can fit on a single sheet as it will involve more material. Smaller boxes mean more outcome and more products for customers. when needed. Also, the quantity of boxes matters. If you want to place the large order, buy the boxes at wholesale. Paperboard, cardboard and Kraft are some of the common materials used for manufacturing of Custom Lipstick Boxes. These materials are not only inexpensive but also light in weight. Opt for these materials whenever possible. It will reduce also reduce your shipping cost and also easy for handling. But there is one more thing that you need to reconsider. The actual weight of the box as well as the dimensional weight. If a box takes large space, it can cost you higher. You can use different printing options for your lipstick cost. Printing options have a key role in reducing or rising your cost. Main printing techniques used for custom packaging are digital, offset and screen print. You can choose the best for you according to your budget and product requirement. Digital is much cheaper but best for small orders. Whereas offset offers better quality and affordable rates. Opting for screen printing will provide you finest quality as compared to others but it is much costly. Choosing eco-friendly material will help you to make great savings. It is an ideal way to avoid resource and redesign material. It will not only reduce waste during the manufacturing process but cost you less than the standard whiteboard. Encourage customers to recycle the box themselves. You can also provide them ways to reuse the custom lipstick box before reprocessing. Recyclable materials are eco-friendly, cost-effective and light in weight. Another way to estimate and reduce your cost is thick in terms of one item. When you need extra material for your lipstick boxes, think about the cost per box instead of thinking about cost per unit. Maybe the material cost you high in a unit but using less material per box will help. In this way, you will be able to save your extra cost. The very last and important steps in saving your cost are testing and experiment. Think about the shipping process of your lipstick boxes, how others will handle and use it. How well it protects the fragile items and how it will withstand the pressure?? Considering all these factors will help you to what improvement you can make to improve customer's experience and will let you save money in long run. 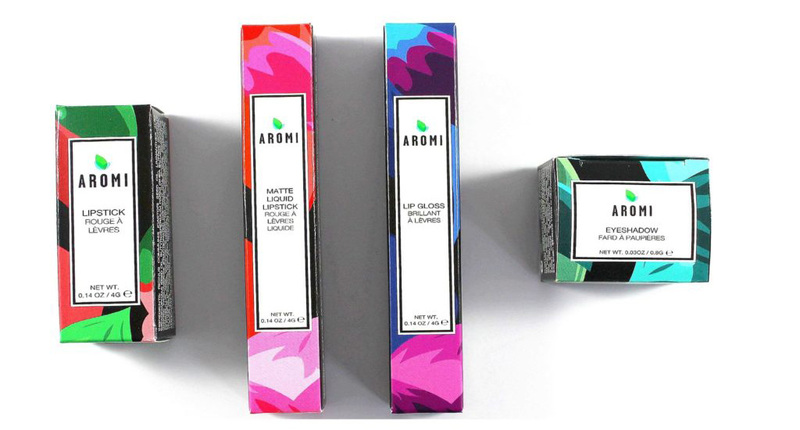 Above solutions can help you to save extra money on your lipstick packaging. Small things count, when it comes to reducing packaging cost. You can learn more about decreasing your price by contacting Custom Packaging Pro. Our experts will help you to make the right choices.